I've changed my blogging destination and now post my insights at www.tstoryteller.com - please visit me there. Transmedia Radar Diagram, originally uploaded by ZenFilms. 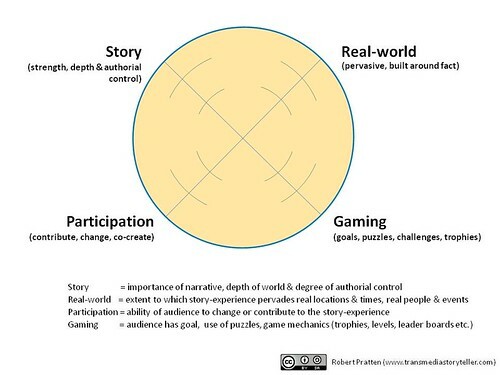 Use this diagram to summarize your transmedia experience. Here's the box art and magazine ad for the UK release of Mindflesh. I think they've done a great job. Interesting how different it is from the international cover. I've been out shooting footage for LowLifes using my Sony HDR-XR500 - all handheld, in bright sunlight and night time. I have to say I love the camera. It's very easy to use, easy to switch from auto to manual focus (which is the thing I do most often) and so quick to pop out the memory card and transfer the rushes to the computer.The picture quality is really nice. The one thing that's a pain in the neck is the AVCHD files because although they're nice and small, that file compression plays havoc with Premiere and After Effects. It "works" but it's slow and troublesome. It's been acceptable for friend's wedding videos and my travelogs but now I'm doing proper work I needed a better solution. (d) I'd already started editing in Premiere with the native AVCHD files so I had to replace them with the .avi files. Use TexRep to do a search and replace and swap ".m2ts" for "avi" - works perfectly! I thought it was about time I gave an update on the Lowlifes project. Here are Part 1, Part 2 and Part 3. So… the novella is finished! (fanfare please). 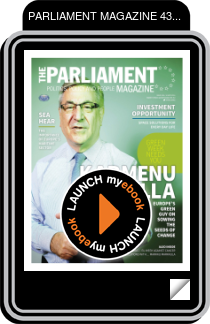 I had three draft copies printed using QOOP to check the look and feel and to have something physical to give away to potential partners. The writer, Simon Wood, is now finishing up the webisode scripts and then I’ll go out to shoot them during August. The webisodes will all be voiced by an actor playing the role of private detective Lauren Ortega (30s, American woman of Mexican parents). Any actor interested in auditioning for the role – which is voice-over only at this time – should be resident in the San Francisco Bay Area and should upload an audition piece to the LowLifes Facebook page. It’ll be a non-union paid gig and probably 1 to 2 days work at a mutually convenient time during late August-September. The big step forward for the project is that we’re now working in partnership with the charity Coalition on Homelessness in San Francisco (www.cohsf.org). As part of the collaboration there will now be a formal transmedia activism component added to the core three-platform entertainment. For an excellent primer and “how to” on transmedia activism, please visit this site. What I’m presenting here is not quite as it’s prescribed by the site’s authors (Lina Srivastava and Vicki Callahan) but I have borrowed a good deal of inspiration from them. I’ll also be advising CoHSF on a much needed social media and website make-over to better capture support and donations. There has been some talk of an ARG but it depends if my Transmedia Storyteller platform is up and running in time because without it there’ll be too much work for the resources we have. A fictional website will be created for a story character called Joseph “Holy Joe” Rawlings who pays homeless people to report to him UFO sightings. Working with non-actors who have been helped by CoHSF, we shall create several fake “promotional videos” and video testimonies for the Holy Joe site. The people in the videos will improvise their experiences of working for Holy Joe around a loose story outline and combine it with their real-world experiences of fighting homelessness. Links on the site will ask viewers to find out more about the people in the videos. This will take them to a special landing page at the CoHSF site where the same non-actors will explain what’s going on and why your money is needed for the charity. Here’s the presentation I gave to the charity explaining Lowlifes and how transmedia activism can work for them. I’m totally indebted to the kindness and foresight of the charity directors for allowing us this chance to work together and fight homelessness in San Francisco. If there are other homeless charities in the USA or indeed around the world feel free to get in touch with me because I have several ideas for how we might roll out the concept to help others beyond SF. View more presentations from Zen Films. Here's a presentation I created for a local client that wants to use transmedia for the benefit of their clients. It's goal is to explain the power of transmedia in engaging consumers in a storyworld and how it's different to product placement and branded entertainment. Specifically I use an ARG (alternative reality game) to illustrate how it can work with an integrated marketing communications plan. This is a quick post to join the discussion that's happening across Brooke Thompson's blog and Christy Dena's. I'll expand on it more later at Culture Hacker, most probably next week some time. My suggestion for naming types of transmedia projects is given in the diagram below. The major difference with my approach is that the classification is independent of the motives or timing of the development. Does it matter? By "Narrative Space" I mean the story occupies the same point in the 3D space of this next diagram. Basically, has the same characters, locations and time frame. It's principally about the how transmedia is shaping up but there's also news about the social, interactive, multi-platform tool I'm developing for folks seeking to deliver transmedia experiences. I managed to catch a glimpse of Mongoliad in operation last night at Dorkbot in SF. I have to say it was more impressive than I'd hoped and I think it's going to be very big. Not only the storyworld but also the publishing platform that underlies it (which goes by the name PULP). The photos are from SF App Show - I took them from the Mongoliad Facebook page.